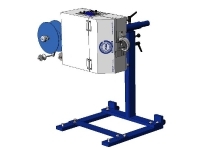 Manufactured with a durable, all-metal frame, this workhorse easily bundles bags, cords, cables, hoses and many other products of up to 2” in diameter. 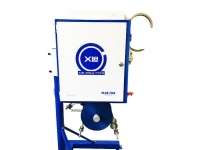 With tying speeds of up to 40 ties per minute coupled with an extra-wide opening, the XL2 seamlessly handles heavier product bundles and tying material with ease. Additionally, internal parts of the XL2 are anodized for resilience to harsh weather and corrosion. 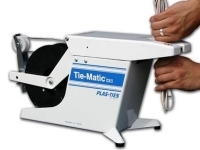 The XL2 machine will twist tie products inserted into the tying area. 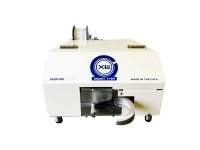 The machine can be adjusted to tie a variety of products that are gathered into a round shape form from 1/2” to 2” diameter. The unit comes with a Standard Vertical Mount. Additional options include: Horizontal mounting Frame and Pedestal with wheels for a tying height between 3 and 5 feet. Employee safety is a continual research and development venture for Plas-Ties to institute proper safeguards on our machines. The activation of the XL2 twist tie bundling sequence will not start unless the lid is securely closed. To ensure the safety and proficiency of your employees, Plas-Ties offers Factory Training, specific to your needs and budget. Technical Support is provided on an on-going basis with online manuals, demo videos and phone support. Utilizing our considerable parts inventory, next-day domestic delivery options are possible. Now and again, in-house servicing is inevitable, however; our convenient Loaner Program provides a loaner unit while your machine is being serviced. 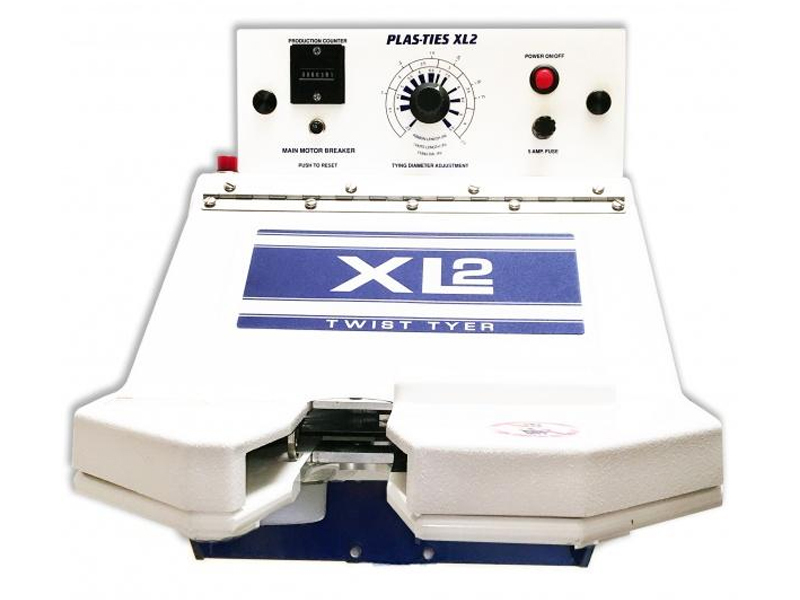 The XL2 is ideal for twist tying: hoses, cords, wire harnesses, cables, hanger sets, produce bags and thick poly bags. Several industries related to the electrical, communications, disposable packaging, gift baskets and even produce will benefit from the speed and consistency of the XL2. Tie Length: 4.5" - 9.5"
Width at Front Feet: 16"